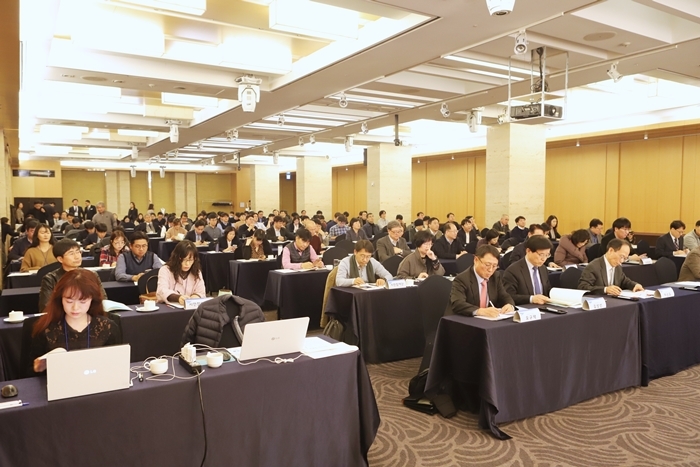 The Ministry of Science and ICT (hereafter MSIT) and KISTEP held ‘Public Forum of Government R&D Medium and Long-term Investment Strategies’ at the Sheraton Seoul Palace Hotel on Nov 28th, 2018. 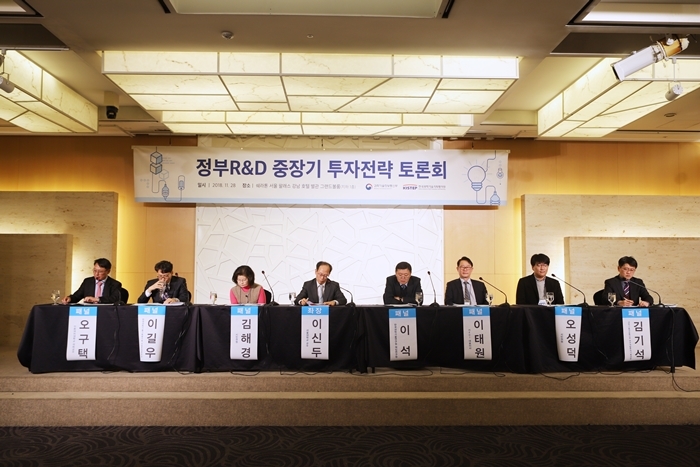 This forum was held to promote communication in the policy making process with public by gathering opinions from people and experts in industry, academia and research institutes, which helps to formulate Government R&D Medium and Long-term Investment Strategies. The forum invited 200 participants including Minister of MSIT, Vice Minister for Science, Technology and Innovation, Director General of R&D Investment Coordination Bureau, civilian representatives, officers from related ministries and institutes, experts in industry, academia, and research institutes. The forum started with pre-meeting attended by interest parties of MSIT and the panels of the forum, and followed by presentation of Government R&D Medium and Long-term Investment Strategies (plan), and panel discussion followed the last. ※ Government R&D Medium and Long-term Investment Strategies (2019~2023) is the investment direction from the macro perspective that Science and technology should follow. The focus of the Investment Strategies are not just a technology acquirement, rather a strategic distribution of limited government R&D resources, which would enhance innovation growth and improve publicness of government investment for quality of life.